​Follow the footsteps of Medellín’s history back in time about 20 years, to one of the most dangerous cities in the world. In the early 90’s Pablo Escobar and the Medellín drug cartel was at its peak. When the reign of “El Patrón” finally came to an end, struggles and fights for his succession started. In 2002, however, the city began to undergo a deep transformation. Local politicians started to invest in infrastructure and public education and the city is still reaping the rewards today. Medellín has turned into one of the most innovative metropolises in the world. This tour takes you through Medellin’s history and present in order to learn more about the transformation of the fascinating “City of Eternal Spring”. You’ll discover stories about the city’s past by visiting some of its most important places. 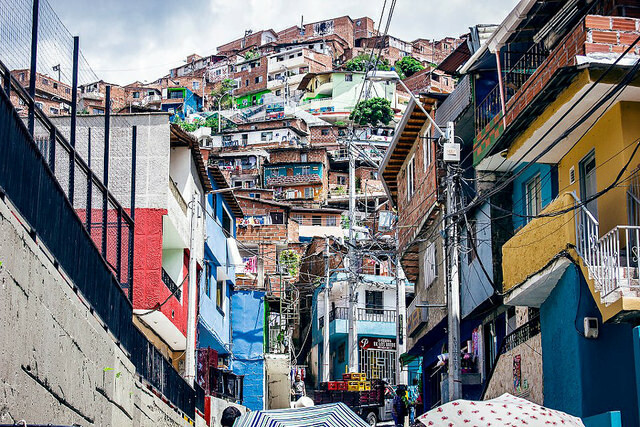 After having listened to these stories, you’ll see Medellín from a very different perspective.